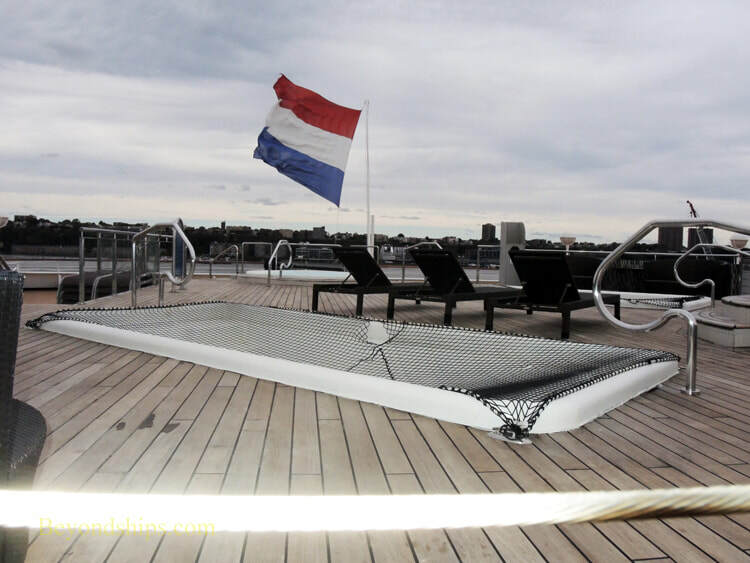 Veendam's swimming pool, the Lido Pool, is midships and is protected by a retractable glass roof. 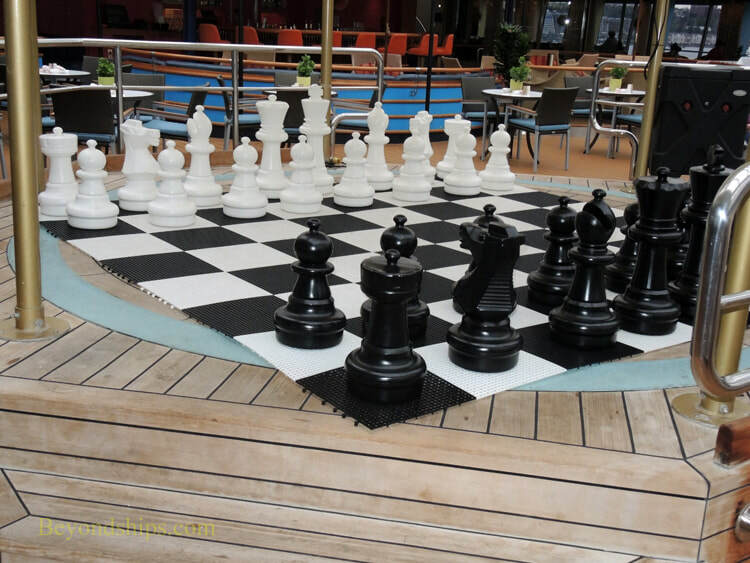 The area has two whirlpools, a bar, a grill for light meals and a giant chess board. 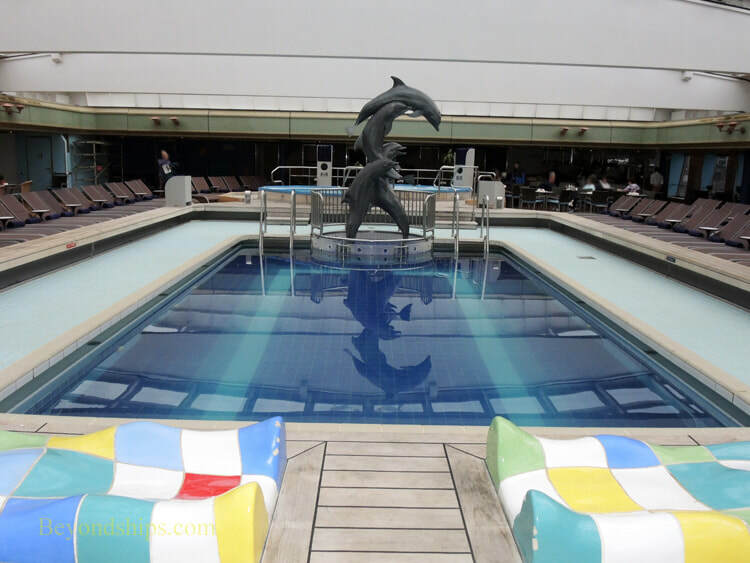 What was originally the aft pool area has been transformed into the Retreat. 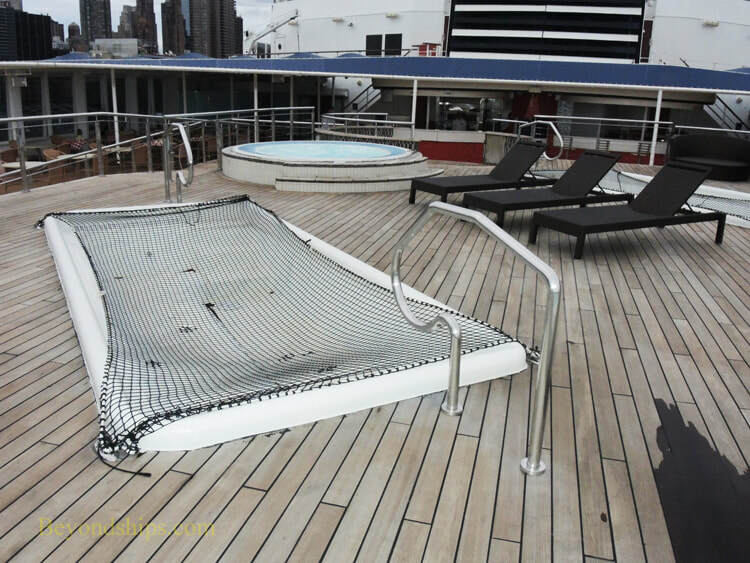 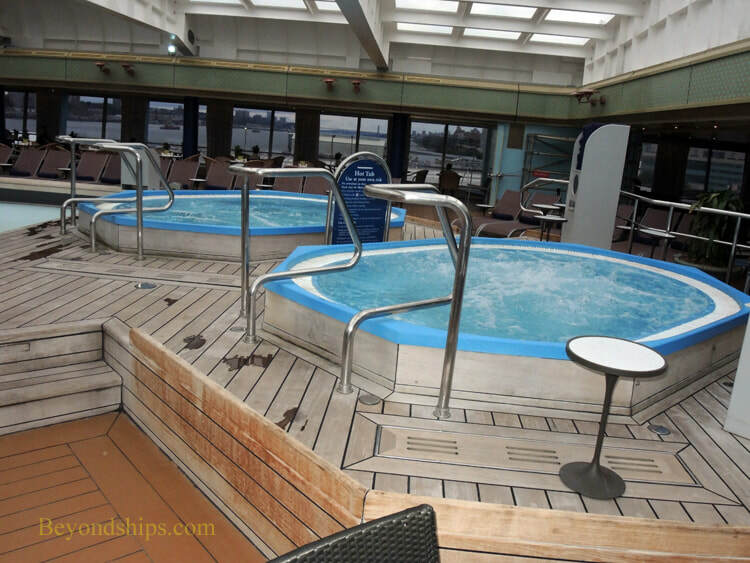 It features a series of hot tubs on a raised platform. 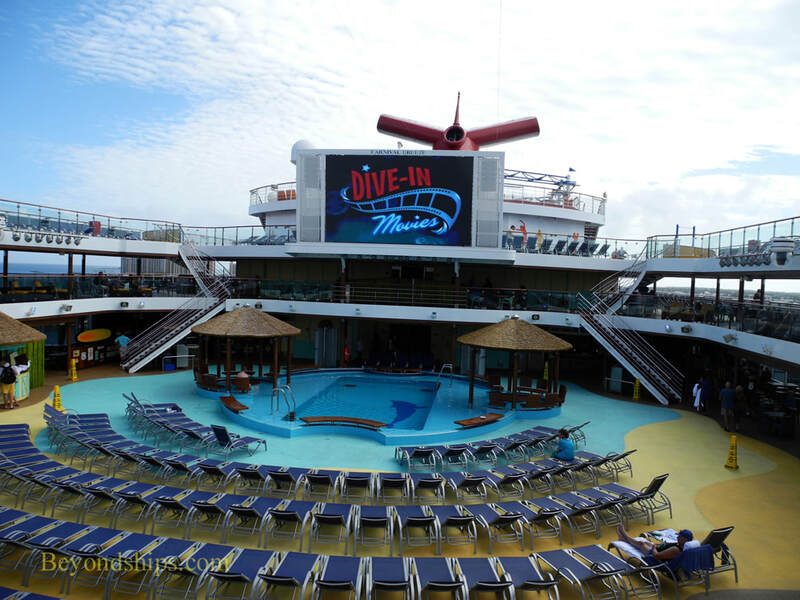 The area also has a large video screen, a bar, and a pizzeria. 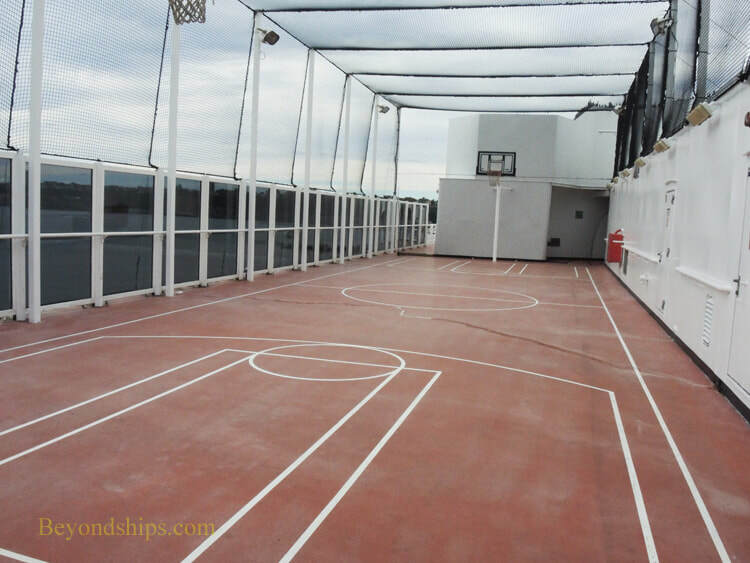 On either side of Sports Deck are outdoor sports courts. 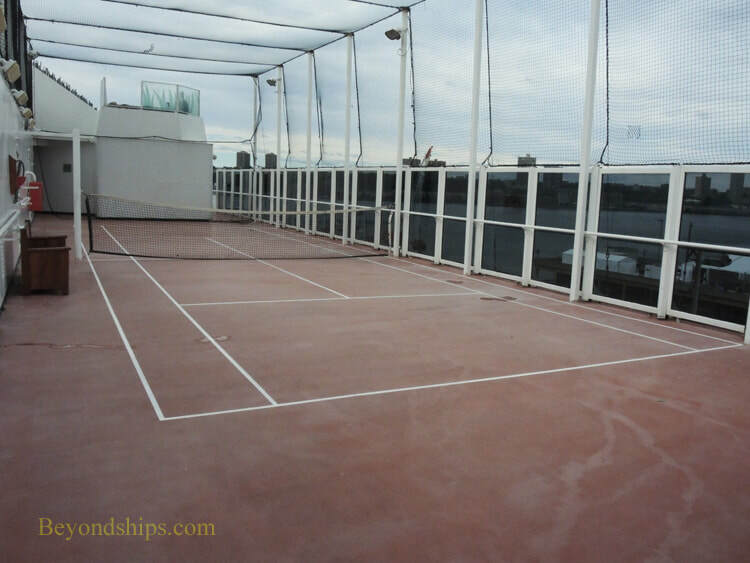 The one on the starboard side is used for basketball and the one on the port side is used for deck tennis. 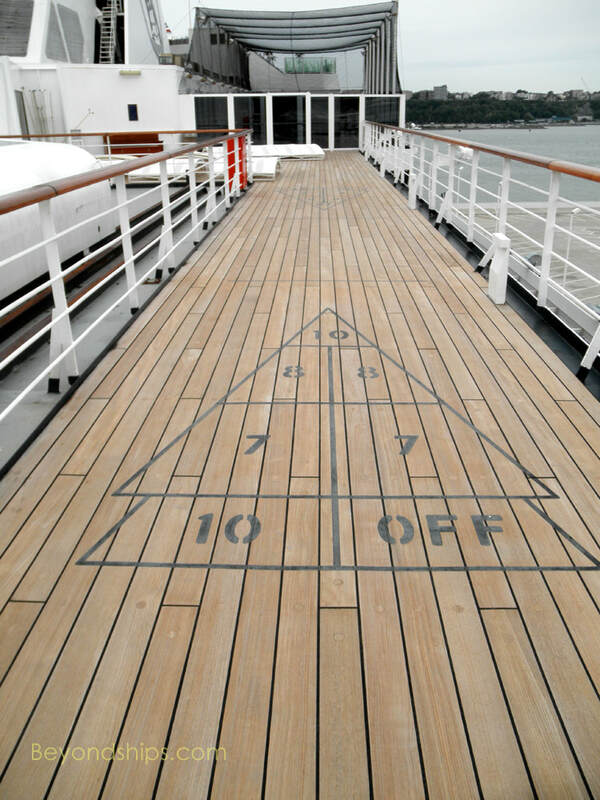 Veendam also has shuffleboard (left). 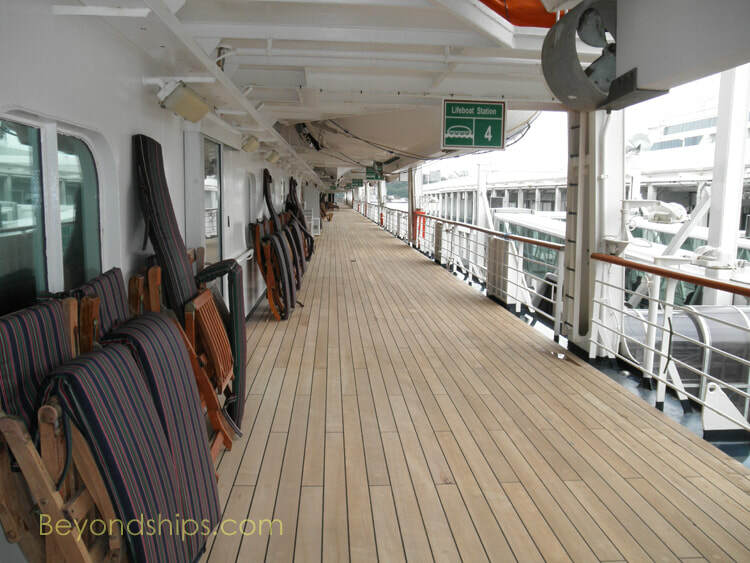 There is also a wrap-around outdoor promenade with teak decks (below).